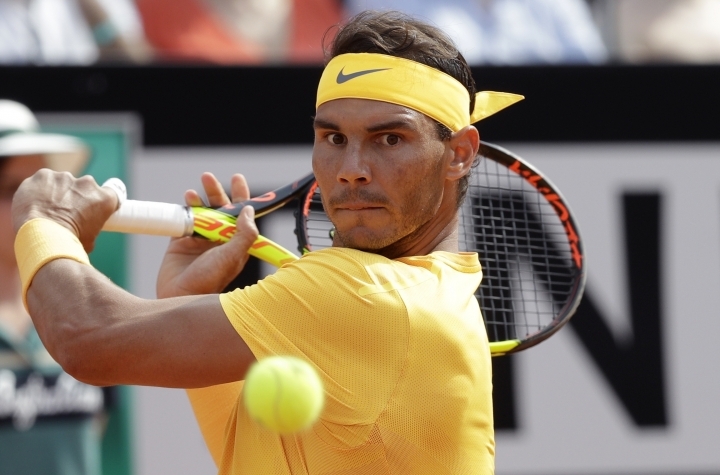 ROME — Rafael Nadal is right back where he wants to be heading into the French Open. Alex Zverev is in a good place entering Roland Garros, too. 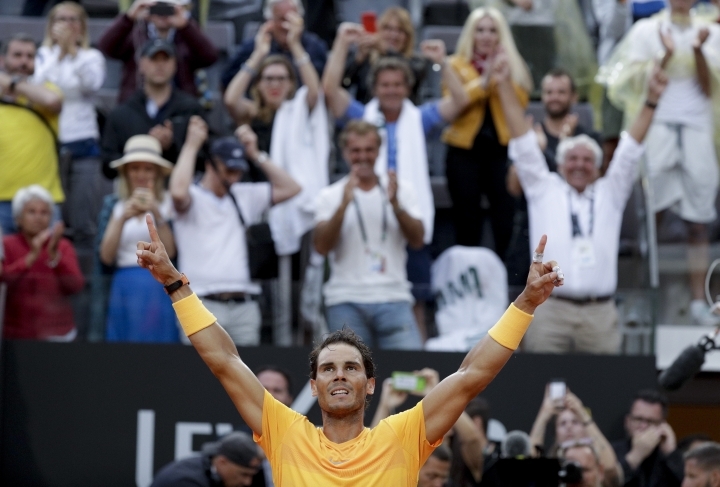 Nadal came out on top in a matchup of this year's top two clay-court players Sunday, beating defending champion Zverev 6-1, 1-6, 6-3 Sunday to win a record-extending eighth Italian Open title. 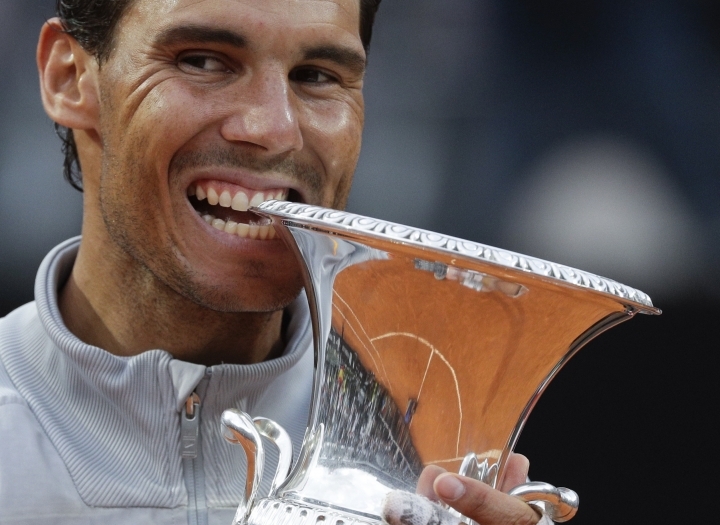 Coming a week after a loss in the Madrid Open quarterfinals to Dominic Thiem, Nadal has his confidence back entering the year's second Grand Slam in Paris, which starts next Sunday. "It's been an amazing week," Nadal said. "It was tough losing in Madrid so to come back and win the trophy here is great." Nadal recovered from an early break in the third set after a 50-minute rain delay, winning four straight games to close it out once the players returned to the court. 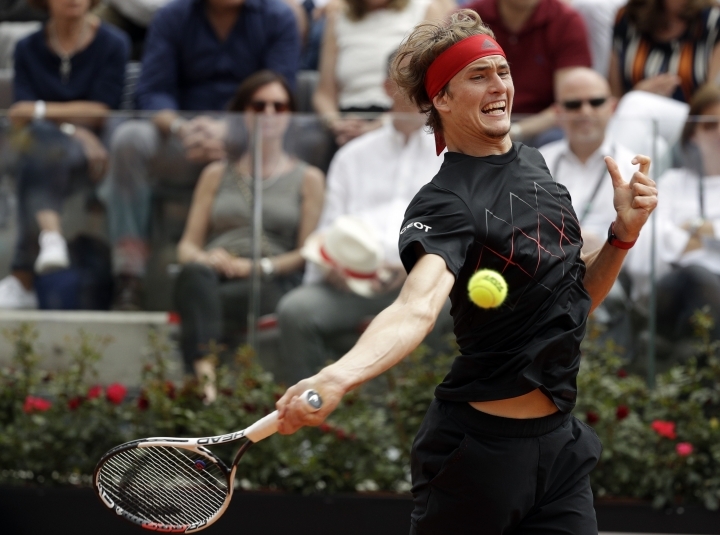 "He came out way faster and played much more aggressive than I did," Zverev said. "It just changed momentum ... If you don't have the momentum on your side, you're not going to beat Rafa." Still, Zverev was pleased that he dominated Nadal in the second set and was up a break in the third before the rain came. "I was not far away from beating Rafa on a clay court in a Masters final, so I guess I can take that to Paris," Zverev said. Nadal, who improved to 5-0 in his career against Zverev, has won a record 10 French Opens. 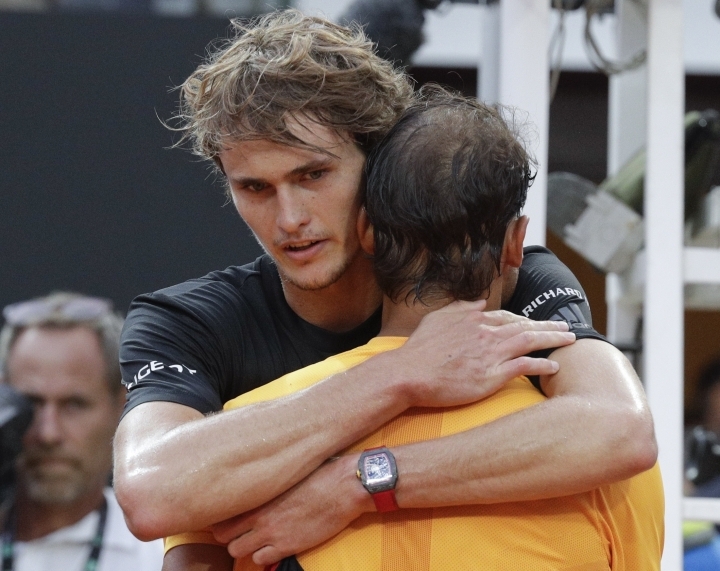 "Of course Rafa will be the favorite there," said Zverev, who has never been past the fourth round in a major. "I'll be in the other half of the draw and that's a good thing." Nadal will reclaim the No. 1 ranking on Monday from Roger Federer, who is sitting out the clay season to prepare for Wimbledon. "My first victory here in 2005 is one of my greatest memories," Nadal said during the trophy presentation. "To have this cup with me so many years later is really specialissimo." Earlier, Elina Svitolina defended the women's title, facing little resistance from top-ranked Simona Halep in a 6-0, 6-4 win. "I dominated all the match," Svitolina said. Just like in last year's final, Halep appeared bothered by an injury. 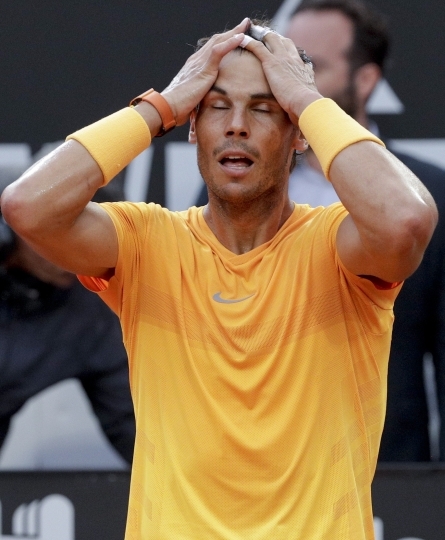 Nadal and Zverev had each won two titles on clay this season entering the final, with Nadal lifting trophies in Monte Carlo and Barcelona and Zverev taking Munich and Madrid. Midway through the final set, Nadal showed off his shot-making skills with an over-the-shoulder put away with his back to the net, earning long applause from the crowd. Nadal, who hadn't won the Italian Open since 2013, picked up a winner's check of 935,000 euros (nearly $1 million). "Congratulations Rafa," Zverev said. "You're the greatest clay-court player of all time." Halep called a trainer onto the court for an apparent back problem while trailing 2-3 in the second set then exited the court for treatment. "I was a little bit too stiff with my body and I couldn't stay in the rallies," Halep said. Last year, Halep rolled her ankle in the final and lost a set lead to Svitolina. This time, Svitolina didn't face a single break point in a match that lasted just 67 minutes. Halep said her physical problems were the result of a long three-set win over Maria Sharapova in the semifinals a day earlier. Halep had already secured the No. 1 ranking for another week by reaching the semifinals. Svitolina, who has never made it beyond the quarterfinals at a major, was hesitant to predict anything for Paris. "In a Grand Slam it's very tricky," she said. "But I'm definitely going to Roland Garros on a high note."